QUESTION: Marty; Your model picked this weekend and then then September 11/12th. Are these two targets a window so this is when it starts and the second is where it ends? Your computer blows everything out of the water. It is becoming very obvious why they wanted the code. I watched the Forecaster. Marcus Vetter had the courage to make this film and it is clear as day why it has been blocked in the USA. Thank you for what you do for humanity. ANSWER: Yes this is a window. What we must understand is while Kim Jung-un has everything to lose, he does not see it that way. What CNN and the Democrats fail to tell everyone is that Trump had offered to even meet and talk to Kim Jung-un and he was criticized for that position. Back in May 2017, Trump told Bloomberg News: “If it would be appropriate for me to meet with him, I would absolutely, I would be honored to do it.” Ellison criticized Trump, as does CNN, for not engaging in diplomacy. So let’s make this very clear – DIPLOMACY is dead in the water on this one. Kim cannot be seen as weak. He will never accept that image. There is nothing the US could give North Korea that would make it end its nuclear and missile program. Secretary of State Rex Tillerson and other senior Trump administration officials have stressed the importance of diplomacy, but diplomacy works only if someone is willing to talk. There are no signs that the North Koreans are open to any dialogue. Dealing with North Korea may necessitate they overthrow this one-minded dictator to whom nobody ever said no when he was growing up. 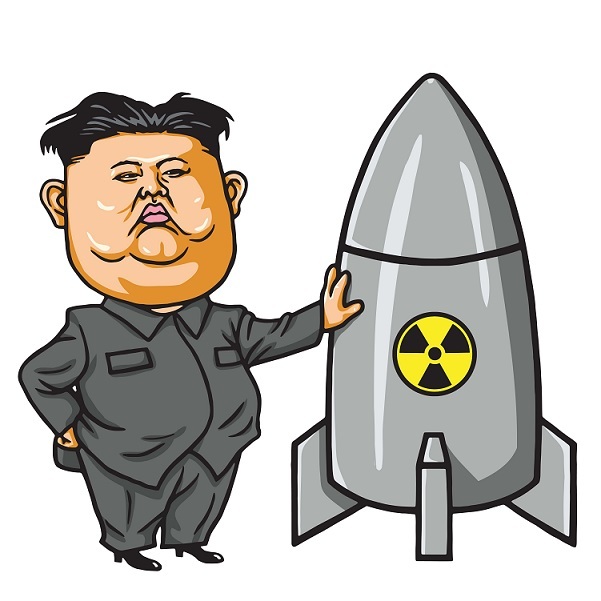 What the Democrats and CNN will not tell the people is that even reliable sources in Europe are convinced that North Korea is single-mindedly focused on continuing with its missile and nuclear-weapons testing program – PERIOD! Even at the Asean Regional Forum meeting in Manila, North Korea refused to meet with Tillerson and a proposal offered by Soth Korea to begin talks between Seoul and Pyongyang offered by Kang Kyung-wha, the South Korean foreign minister, was summarily rejected. Meanwhile, the North has historically NEVER honored any agreement with the USA. Sources in Washington are adamant that the distrust in Congress of dealing with the North Korea exists on both sides of the aisle. The distrust of North Korea is very deep-seated on Capitol Hill. The basic assumption is that only economic sanctions can pressure Kin Jung-un to change course. The latest round of tougher UN sanctions target North Korea’s mineral and food exports, and restrictions on North Korean overseas labor. The Democrat Congressman Keith Ellison of Minnesota is just a total fool or a devious man distorting the issue for personal political gain knowing that diplomacy is dead in the water. Kim has to play chicken because his power depends upon it. Trump has stepped up the threat assuming he is dealing with a rational person who cares about his country. Kim is not motivated in that way. If Kim blinks, he will be seen as weak and that is a personal danger to him. Sifting the focus to suddenly double his military and then nothing happens he can claim as a victory. The Democrats and CNN would have Trump get down on his knees and kiss the ring of Kim. This guy has pursued nuclear weapons and once he has achieved that, then what’s next? Trump has met him in rhetoric, but that seems to be making him blink and shifting he focus to boots on the ground. Charles-Louis de Secondat, Baron de La Brède et de Montesquieu (1689 – 1755), is the man who influenced the Founding Fathers in creating the Constitution and designing the separation of powers, met the political leader and soldier known as the Prince Eugene of Savoy (1663-1736). The political discussions between these two men helped Montesquieu understand the evils of government and forged the Second Amendment of the United States Constitution and the right to bear arms. The Prince of Savoy was considered, even by Napoleon, as one of the seven greatest strategists in military history. He fought against the Turks (1683-1688, 1697, 1715-1718) and he fought against the French in the War of the Grand Alliance (1689-1691). He was also the teacher of Frederick the Great of Prussia (b 1712; 1740–1786) who he shaped into a brilliant military strategist. The Prince of Savoy also fought in the War of the Spanish Succession (1701-1714). Nonetheless, jealousy attached to his accomplishments and he was plagued by a rumor that he was really the illegitimate son of King Louis XIV of France, which he perpetually denied. Yet, Louis XIV was always ashamed of such offspring and he restrained the prince’s ambitions as if he was perhaps his son. So after 20 years of living in Paris and Versailles, he left France and offered his talent to Holy Roman Emperor Leopold I (1640-1705) who was fighting the Turks. He distinguished himself in the siege of Vienna in 1683 and his military career was born. 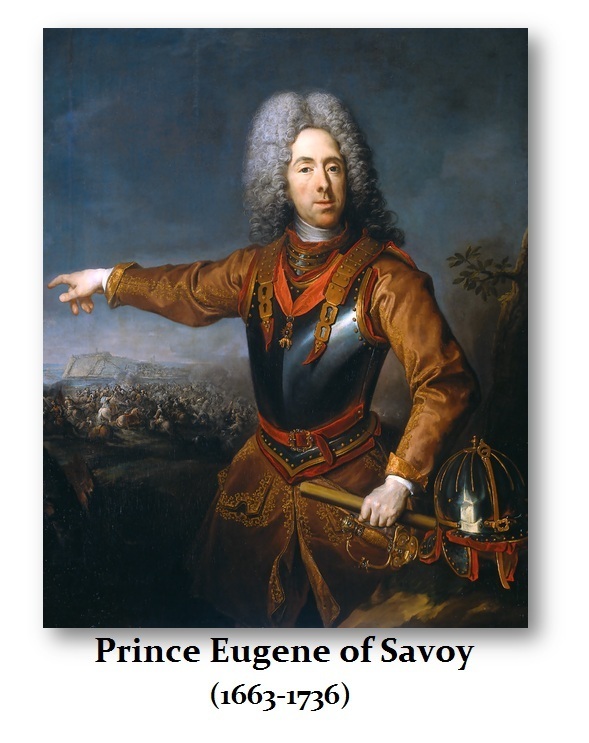 The Prince of Savoy acquired brilliant skill and wisdom that allowed him to see that military victory was merely an instrument for achieving political ends. He was Europe’s most formidable general who was wounded 13 times, yet always faced a world of cunning foes with conspirators at his back, which he regarded as the “hereditary curse” of Austria. He served three emperors: Leopold I, Joseph I, and Charles VI. Of these three men, Prince of Savoy considered that the first had been a father, the second a brother, but with the third, he was just the hired help. The core observation of the Prince of Savoy is that standing armies led kings to war. They pay for great armies but it is a zero-sum game. The cost is tremendous and for what if they are not used. Reasonable men today realize that the possession of nukes is a standoff. Kim does not understand that. He is a lunatic dictator trying desperately to retain power. He has achieved his nukes. Does he use them since he cares not about his country? That is the real question. Savory was against standing armies for the mere possession led to their use. This becomes the real concern of Kim long-term. To retain power, a dictator needs to invoke fear in his people. If for any reason that diminishes, then he will need a war to retain that power. This is what history teaches us. « Is Kim Jung-un Blinking?